If you travel much outside the United States, it pays to be choosy about which credit cards you use abroad. Here are five key things to know about using credit cards in foreign countries. 1. Watch out for credit card foreign transaction fees. Don't be surprised if you get charged a foreign transaction fee, also known as a currency conversion fee, on everything you buy with credit cards in foreign countries. Visa and MasterCard charge a 1 percent fee for converting the price of your purchases to U.S. dollars, and most credit card companies add another fee of 1 percent to 2 percent of the purchase price. 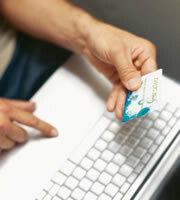 In Consumer Action's 2009 Credit Card Survey, all but two credit cards, Capital One and First Command, carried the fee. Sometimes the fees are charged even if you're at home when you make purchases from foreign companies. To save money, check what the foreign transaction fee is on each of your credit cards, and choose the one with the lowest fee. 2. Use credit cards versus debit cards for purchases. Travel experts advise using credit cards for purchases in foreign countries because it's easier to dispute charges than with a debit card. With a disputed credit card charge, you don't have to pay the tab until the issue is resolved. With a debit card, the money goes out of your account immediately. Ed Perkins of SmarterTravel.com recommends in USA Today that travelers use credit cards for big purchases and debit cards for cash. 3. Check your credit cards' travel benefits. Many credit card offers include a variety of travel benefits, such as rental car insurance, air travel insurance, and discounts on everything from hotels to attractions. Check out the travel perks on each of your credit cards and use the ones that provide the best rewards. 4. Take advantage of credit cards' exchange rates. Credit cards offer one of the best currency exchange rates--better than what you'd get at an exchange booth or walking into a bank. 5. Avoid billing in U.S. dollars. Travel experts say to avoid getting billed by foreign merchants in U.S. dollars because that lets them apply their own exchange rate and make money off of you. Finally, if you're shopping for a credit card for foreign travel, don't overlook other credit card terms. Compare key factors such as the annual fee, interest rate, and rewards. 0 Responses to "5 Tips for Using Credit Cards Abroad"